The simple way to program, read & reset DCC addresses! We’ve heard it time and time again from our customers. Programming DCC addresses is a hassle and only a small percentage of hobbyists can actually perform this essential task. That’s why we’ve developed the Address Changer. 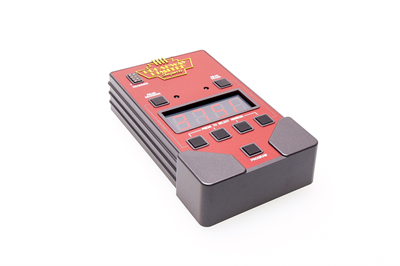 This standalone device is specifically designed to make DCC address programming, reading and resetting a breeze! Hobby shops, train clubs and EVERY DCC user will want one! Preorder now as these are built to order. Simple programming of DCC Addresses with the push of just a few buttons. Use any piece of track as your program track! DCC ADDRESS PROGRAMMING MADE SIMPLE! Plug in an 8-pin DCC decoder or place a locomotive on the Address Changer’s program track (or use both the 8-pin and program track to program, read, reset both decoders at once!). Read the current address, assign a new address or reset the decoder(s) to factory defaults with a few button presses. No separate DCC system required!